I was told we don't have any Women's game dedicated topic. I opened this one, to give non-Jilaroos Women's game activity a place di discuss etc. Cancel or correct it if I'm wrong by opening it. Is it true that The Cook Islands secured their place through being the only team that turned up for the qualifiers? Should be a great competition. Hopefully Samoa, Fiji, Tonga, Wales and France can join in 2021 to at least make an 8-10 team competition. The colour scheme (chevron aside) looks more Australian RU than RL. Recently, we have seen the English and French using the same design as the men, and to see a Jillaroos team turn out in the proper green and gold would be my preference. When have RU teams used chevrons? I think it looks great and can be iconic within Australia within a few years. That's the point I was making. The chevron is the only thing that stops it from looking like a Wallabies strip. I like the idea of having a consistent look across the men's and women's teams, to strengthen the brand. I don't hate the Jillaroos kit; I just have another preference. Fair dos. They have played in this kit for around 3 years now. The Kiwis are the NZ Women's are the same. Yep it does smell of penny pinching. But at least it is actually taking place. Or simply Australia (see soccer). 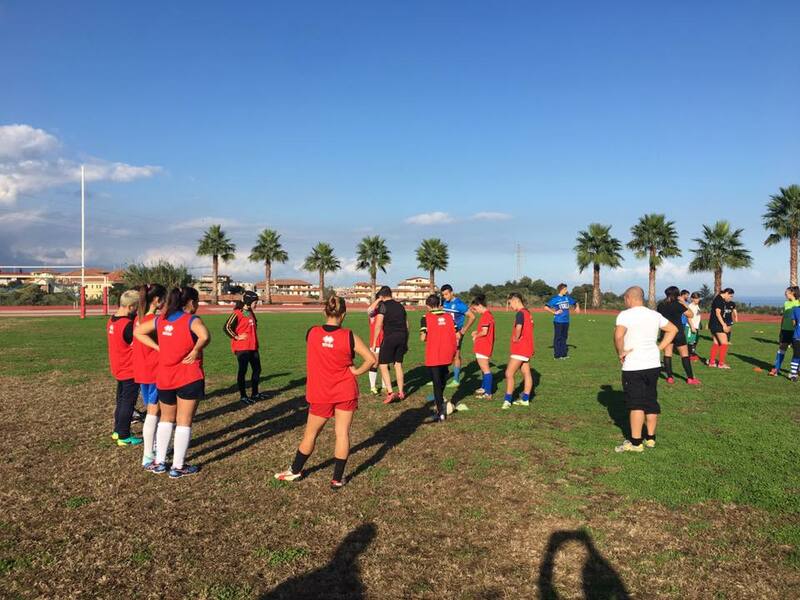 Some photos have just appeared on social media of a women's RL training session in Sicily. It was the 2nd Women's RL stage organized by FIRL. Another one had been held in Lombardy two weeks before. Here a link to other pictures etc. One thing that the RLWC organisers have done well with the 2017 Women's World Cup is ensure that it gets plenty of media coverage. Yesterday's draw launch was reported in all the major newspapers and TV stations, at least in NSW and Queensland. Same when the tournament got Government funding. 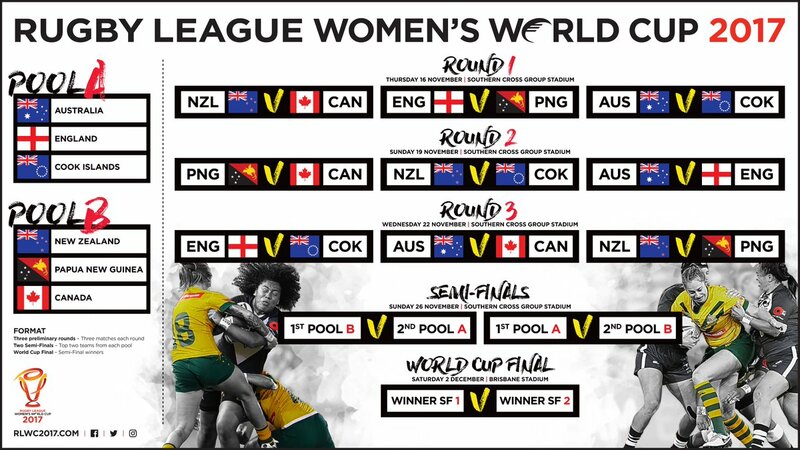 Naturally they are capitalising on the growing Jillaroos and Kiwi Ferns brands and the growing focus on Women's sport in the market, but that is just smart marketing. It's actually something that the RFL should wise up to. England actually has more female Rugby League clubs and participants than Australia and New Zealand. They also have the foundations for an elite national competition, something Australia is at least 3-5 years away from. Arguably with a bit of support this could be an area they could really make some easy progress in which has the added advantage of being able to open up new sponsors and new Sport England funding for them. This should have been done 2-3 years ago in the UK. We should have a Women's Super League - even if it was just a summer competition over 3 months to begin with. Clubs formed under the name of SL clubs. i understand tbe French expected to be included, and were actually already training for the tournament. Another typical RL balls-up as far as I can see. Yes but the competition is in one year... i have not seen any fundraising or communication to look for specific sponsors for this event. if it is a question on money to get our women to World Cup, the french community could have managed to raise funds/find partners, we could have shared and helped or tried at least. there must be another reason. comon.. papua can finance it and we cant? To be fair in this instance the schedule and competing teams needed to be sorted and confirmed a year out. A Rugby League World Cup cannot wait for 6-9 months for the French Federation to organise a sponsored swim or a just giving page. I understand this. but we could have tried 6 months ago. the all female RL is trying to gain in all aspects of sport development (popularity, TV, Pro, structured competition...) and i have the feeling that we could have done more, we could have tried at least. The Queensland Rugby League announced its inaugural Female Queensland Academy of Sport (QAS) squad on Friday afternoon. After the stages in Lombardia and Sicily, FIRL will have an another women rl stage in Castelfranco Veneto (Treviso). Treviso is a strong rugby (union) area. Details in the image above. I'll update you with images and chat with players involved as soon as the stage takes place. Italian federation are going to have to women RL stages next weekend, in Southern Italy (Sicily) and the other in Northern (Asti, Piemonte). I've talked to some of the girls who attended the stages in Autumn; they're all RU playing players, but are very RL enthusiast, as they tend to appreciate our code quickness. It's all set for some friendlies/test against the likes of Spain, Lebanon etc,; this meetings will be great to prepare the girls and hopefully establish a RL club scene.